Microsoft Outlook 2003/2007/2010(32 or 64bit)/2013(32 or 64 bit)/2016(32 or 64 bit). MS Office 365 backup solution is mainly deployed by the users for creating a local backup of the Office 365 data. The Office 365 Backup Tool to create & convert Backup Office 365 Mailboxes of the entire data in Outlook PST file format, which can be easily accessed in Outlook later on. Support to Windows 8 & below versions. 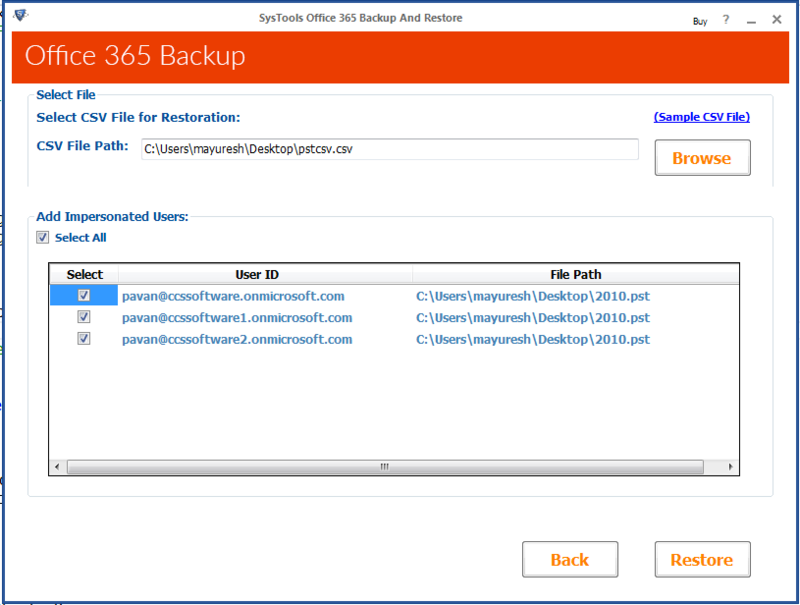 Error-free and complete Office 365 backup. Provision to save backup time by selective backup. Support to backup multiple accounts altogether. Restore facility for restoring PST data in Office 365. Provide support for single user backup. Provided Pause and Resume functionality. Provide support for single user restoration in office 365 account. 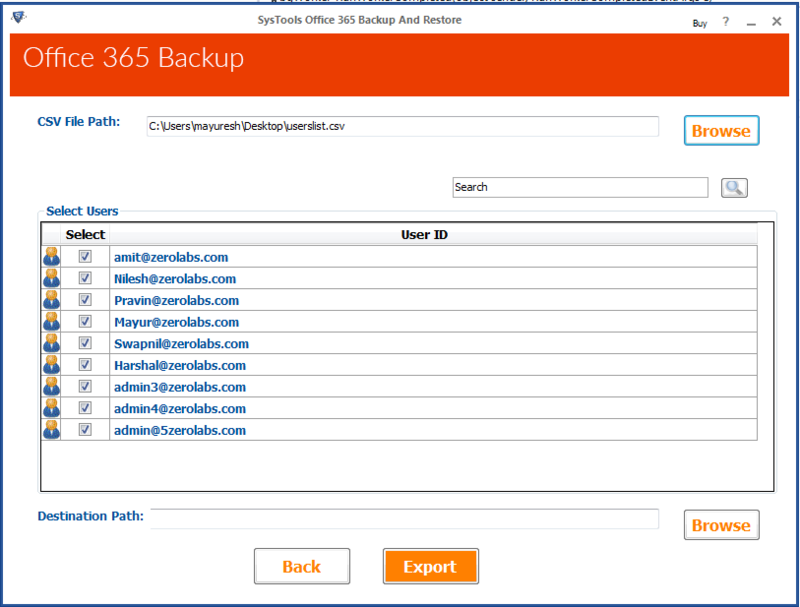 Office 365 Backup Tool Demo version will backup only first 100 mails and 25 other items. 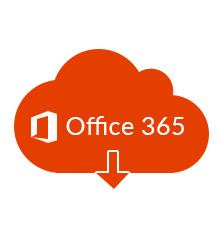 The Office 365 Backup software to enables creating a local copy of the entire Office 365 account data in the form of PST file. Whilst single PST is created for single account, multiple PST are created in case of multiple accounts. 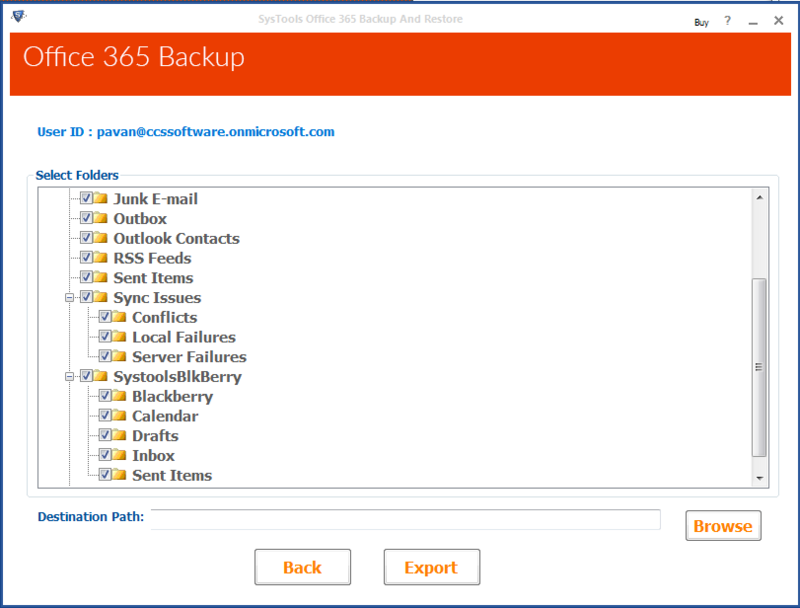 The Office 365 Backup Tool to allows the users to take backup of entire Office 365 data-emails, contacts, calendars, tasks, etc. in Outlook PST file format. The PST file can be later on restored whenever necessary. Where will be the output PST files saved? The backup PST files will be saved in the local machine of the user. The impersonation features allows the user to login as the administrator of Office 365 and create backup of all the accounts together.